I have another blog about Miramar, Florida. Perhaps you've stumbled upon it. 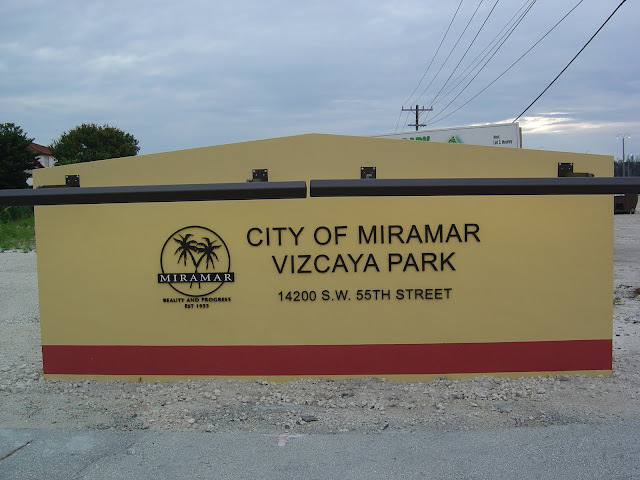 This one, however, is going to be dedicated to the park at the end of Honey Hill Road, just past the Vizcaya communities. I wrote about this park before, and in fact this photo is from there, but now that construction projects and progress are approved and under way, it's time for a dedicated chronicling. Go over and read Commissioner Samuels letter yourself to see what is planned. Should be a spectacular park when it's all finished! So I'll do my best to add information and photos here as I see progress. Thanks.